Seung Jong Lee is a Professor in the Graduate School of Public Administration at Seoul National University (Korea). He received his BA and MPA from Seoul National University and PhD from Northwestern University. His research interests include local governance, citizen participation, and community well-being. He served as President of the Korea Association for Public Administration and as Editor-in-Chiefs of several journals, including Korean Public Administration, Journal of Local Autonomy Studies (Korea), Journal of Local Administration (Korea), and Korean Policy Studies. 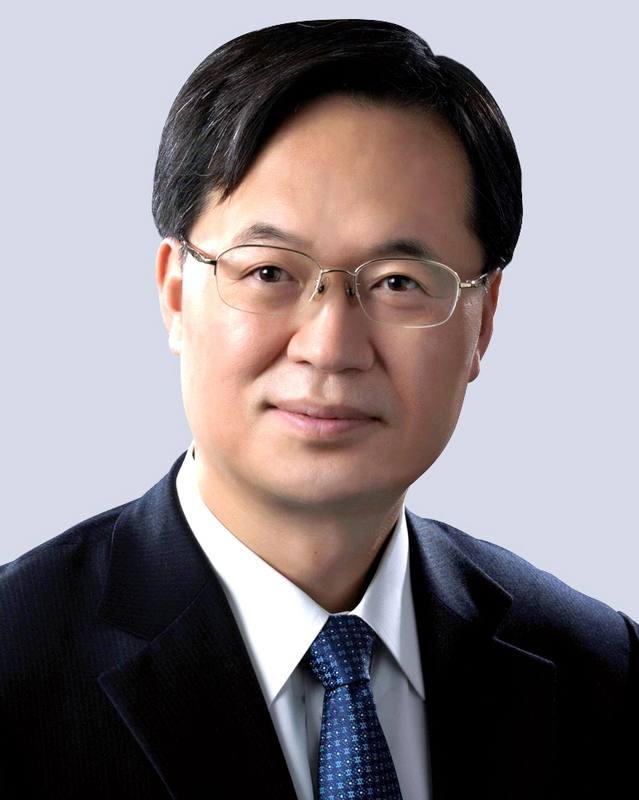 He has actively participated in various governmental advisory positions, such as President of the Korea Research Institute of Local Administration (KRILA), member of the 2013 Presidential Transition Committee, Vice Chair of the Presidential Committee for Local Administration System Reform, and Chairperson of the National Evaluation Committee for Local Performance. Youngwha Kee is a Professor in the Department of Lifelong Education at Soongsil University (Korea) and the President of the National Institute of Lifelong Education. She has served as the President of the Association of Adult & Continuing Education of Korea and Director of the Korea Institute of Local Development Education. Currently, she serves on the editorial board of Springer’s Community Quality of Life and Well-Being book series, the International Journal of Continuing Education and Lifelong Learning (Hong Kong), the Lifelong Education Magazine (Taiwan), and Lifelong Education (China). Her research interests include educational gerontology, community and civic education, community wellbeing, community development, and governance. Young-Chool Choi is Professor of Public Administration at Chungbuk National University (Korea). He holds a PhD from the University of Newcastle upon Tyne, UK. He worked as Senior Policy Analyst at the Northern Development Agency, a regional development agency in the UK (1998-1999), and previously as a Senior Research Fellow at the Korea Research Institute for Local Administration, Korea (1991). He served as the President of Korean Association for Policy Analysis and Evaluation, and also served as the Vice President of Korean Association for Public Administration. He currently serves as Editor-in-Chief of the Korea Local Administration Review. He is also currently President of Korean Association for Comparative Policy Studies, and Dean of Faculty of Social Sciences at Chungbuk National University, Korea. His main research interests are regional policy analysis and evaluation, local government and educational administration. Young Kyun Oh is a professor at Suwon University (Korea). His research interests include R&D policies, public finance, and performance management. Robert Ashley Cummins was appointed Emeritus Professor in 2014, after holding a Personal Chair in Psychology at Deakin University (Australia) from 1997 to 2013. He holds post-graduate degrees in physiology and psychology from the University of Queensland and the University of Western Australia. Professor Cummins is an international authority on quality-of-life research, a Fellow of the Australian Psychological Society and of the International Society for Quality of Life Studies. He is on the editorial board of 15 Journals and is an Editor of the Journal of Happiness Studies. In 2000, he founded the Australian Centre on Quality of Life as a virtual centre within Deakin University as a resource for students and researchers. Professor Cummins supervises postgraduate students, for which he has received several awards. He has around 14,000 lifetime citations and an h-index of 51, referenced to his published collection of over 350 books, book chapters, papers, and reports. Mark Seasons is a Professor with the School of Planning, Faculty of Environment, at the University of Waterloo (Canada). Mark joined Waterloo in 1998 following almost 20 years of professional planning experience as a policy planner and long-range planner in the public sector in Ontario, Alberta, and New Zealand. Mark has held several high-level administrative posts at Waterloo, including associate dean and interim dean in the Faculty of Environment. His research focus is the school closure phenomenon and associated quality of life impacts, and urban and regional plan evaluation. He is also interested in regional planning, with a specific interest in planning for climate change, and planning for no or slow growth. Mark has earned degrees from Queen’s (BA Hons. - Geography), the University of Calgary (Master of Environmental Design – Planning), and the University of Waterloo (PhD – Regional Planning). He is a Fellow, Canadian Institute of Planners, and a Registered Professional Planner in Ontario. John Tomaney is Professor of Urban and Regional Planning in the Bartlett School of Planning, University College London (UK). Previously he was Henry Daysh Professor of Regional Development and Director of the Centre for Urban and Regional Development Studies (CURDS), Newcastle University. He has published over 100 books and articles on questions of local and regional development including Local and Regional Development (Routledge, 2006) and Handbook of Local and Regional Development (Routledge 2011) co-authored with Andy Pike and Andrés Rodríguez-Pose. He has undertaken numerous research projects in the UK and elsewhere. Among the organisations for which he has conducted research are: UK Research Councils, government departments in the UK and elsewhere, the European Commission, the OECD and local and regional development agencies and private sector and voluntary organisations and think tanks in the UK and abroad. He has given evidence to Royal Commissions and Parliamentary Committees in the UK. In addition, he is a regular commentator in the UK media on matters of local and regional development. Geoff Woolcock is the Manager of Research & Strategy at Wesley Mission Brisbane and Adjunct Associate Professor at Griffith University’s School of Human Services and Social Work; and QUT’s School of Public Health and Social Work (Australia). Geoff Woolcock works with a diverse range of public and private sector organisations helping develop whole of community outcome measures for a variety of social interventions, particularly in socio-economically disadvantaged communities. Geoff is an experienced social researcher with considerable expertise in social and community service planning and evaluation, including social impact assessment and project evaluation. He has more than 25 years' community-based research experience nationally and internationally, in housing, youth and health sectors, and is a board director on the Australian National Development Index (ANDI). Meg Holden (PhD in Public and Urban Policy, New School for Social Research, http://www.sfu.ca/~mholden/) is Associate Professor of Urban Studies and Geography at Simon Fraser University (Canada). Dr. Holden’s published research crosses urban, social and environmental domains, with a pragmatist bent that entails a focus on action research and policy and planning engagement. Dr. Holden works in the service of more sustainable and just cities, in Canada and around the world. Current research projects include Ecourbanism Worldwide, a look into the difference that model sustainable urban neighbourhoods make to urban life and wellbeing, the Getting to Groundbreaking project on the residential approvals process in Vancouver region municipalities, and Rethinking Infill on the neighbourhood and ecological optics of infill urban development. Meg directs the Regional Vancouver Urban Observatory and is an editorial board member of the journal Applied Research in Quality of Life and the city section editor of the Encyclopedia of Social Theory. She is a Research Associate of the Canadian Index of Wellbeing and a Global Advisor of the Cities Programme of the United Nations Global Compact. Yunji Kim is an assistant professor at University of Wisconsin (USA). Her research focuses on local government service delivery, community development, community wellbeing indicators, and public finance. She received her master's degree from the Graduate School of Public Administration, Seoul National University and her bachelor’s degree in government from Georgetown University. Virpi Timonen is a professor at the University of Dublin(Ireland). Yoshiaki Kobayashi is a professor at Keio University(Japan). Nakhyeok Choi is a researcher at Audit and Inspection Research Institute(Korea). Chanyoung Park is an assistant professor at Mokpo National University(Korea). Youngwoong Kang is a research fellow at the Community Wellbeing Research Center(Korea). Seolynne Jeong is a research fellow at the Community Wellbeing Research Center(Korea). NaYeon Kim is a research fellow at the Community Wellbeing Research Center(Korea). Hyerim Lee is a research fellow at the Community Wellbeing Research Center(Korea). Jieun Lee is a research fellow at the Community Wellbeing Research Center(Korea). Filomena Maggino is a professor at the University of Florence (Italy). Her research interests include social statistics, statistics for social research, quality of life, and social indicators. Sharan Merriam is Professor Emeritus of Adult Education and Qualitative Research at The University of Georgia (USA). Merriam’s research and writing activities have focused on adult and lifelong learning and qualitative research methods. For five years she was coeditor of Adult Education Quarterly, the major research and theory journal in adult education. She has published 27 books and over 100 journal articles and book chapters. She is a four-time winner of the prestigious Cyril O. Houle World Award for Literature in Adult Education for books published in 1982, 1997, 1999, and 2007. Megha Budruk is an Associate Professor in the Parks and Recreation Program at the School of Community Resources &Development, Arizona State University (USA). Trained in the natural and social sciences, Dr. Budruk's work is interdisciplinary in nature. She received her doctoral degree in Natural Resources from University of Vermont, USA, an MS in Recreation Management and Tourism from Arizona State University, USA, an MS in Environmental Sciences from University of Poona in India, and BS in Zoology from University of Poona in India. Kai Ludwigs is the Founder and Director of the Happiness Research Organisation (HRO; www.happiness-research.org; Germany). The HRO is an independent research institute based in Dusseldorf, Germany that is specified in measuring subjective well-being, happiness and quality of life. As a studied psychologist and economist, Mr. Ludwigs is internationally known in the areas of happiness research, quality of life as well as positive psychology. He is also on the organisation committee of the International Society for quality of life studies (ISQOLS), external consultant of the European Statistical Office (EUROSTAT), fellow of the Erasmus Happiness Economics Research Organisation (EHERO) and some other institutions.